Coconut oil has so many uses! It is widely used in beauty products as it contains healthy fat, caprylic acid, vitamin E, lauric acid, etc. all of which promotes healthy skin, hair and nails. Nail fungus or athletes foot is a fungal infection, a fungus can develop beneath the nail. It starts as just a small white or yellow spot, but has to be treated as soon as possible otherwise it can spread to other parts of the body or cause you to loose nails. 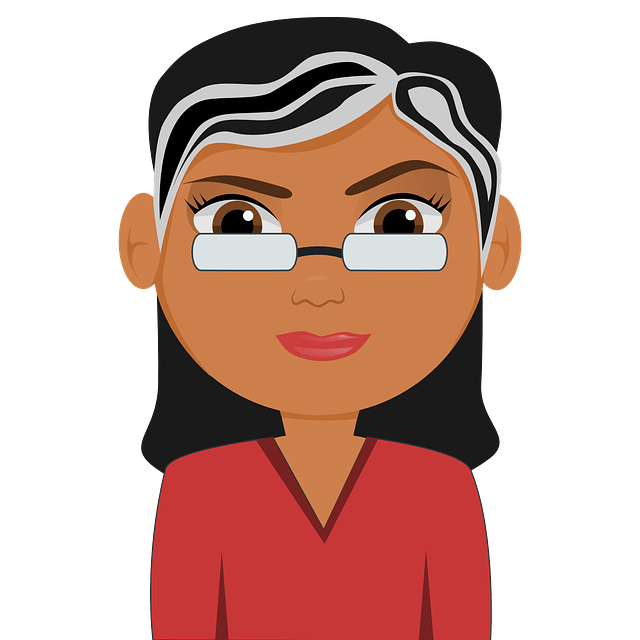 Note: To help this article read a little faster, we use the abbreviation (CO) for Coconut Oil throughout the article. Why is Coconut Oil Good for Toenail Fungus? CO is rich in medium chain fatty acids that helps to work as natural fungicides. Its moisturizing properties will leave you with the softest nails. It contains many important nutrients to strengthen your nails and cuticles to avoid further fungus. Does coconut oil help toenail fungus? See for yourself and try some of the effective home remedy methods to treat nail fungus below. Take small quantity of organic, virgin CO and apply to the affected nail or foot. Massage it gently for few minutes and then let it dry naturally. Regularize this process 2 – 3 times a day till you completely get rid of the nail fungus. Consuming CO also works very well. Note: Ensure that you wash your hands between each application! Even when the fungus is gone, you can continue applying to strengthen the nail and add shine. Make sure to wash and dry the affected area very well before starting treatment. Warm the CO in a bowl of warm water. Apply to the infected area and massage for few minutes. Repeat this process 3 – 6 times a day. Wash the affected area and keep the nails trimmed as close as possible. Take 5 parts of CO and 1 part of oregano oil and mix well. Apply a small amount of the mixture thoroughly on the infected nail and massage for few minutes. Concentrate on the areas where the nails meet skin to avoid the spread of the infection. If burning occurs, use less oregano oil. Let it dry naturally before soaking to remove the fungus. Repeat the process twice a day for at least 2 weeks. Note: Do not use undiluted oregano oil. Warm a small amount of CO to form a liquid. Soak a bandage in the liquid for few minutes. Apply this bandage to the infected areas. Let it dry naturally before covering with a sock or plastic bag to wear to bed. Replace the bandage every day and keep moist. Make sure that it penetrates the nail bed. Take 2 tablespoons of melted CO and add 10 drops of oregano, tea tree, garlic, peppermint and clove oil. All of which have powerful anti-fungal properties. Mix it well and apply this on the feet or infected nail by massaging it for few minutes. Repeat this process 2 – 4 times a day. Cinnamon helps to promote the blood circulation throughout the nails. Take 2 tablespoons of CO and mix with a few drops of cinnamon oil. Apply this to the infected area. These oils contains anti-microbial and anti-fungal properties helps to cure nail fungus. Melt CO to its liquid form and leave to cool. Add 15 drops of tea tree oil and stir well. Leave in a cool place and apply this to the infected nails everyday 2 – 3 times, particularly after taking shower. Clove oil has anti-fungal properties helps to get rid of nail fungus. Mix a teaspoon of melted extra virgin CO with 2 – 4 drops of clove oil. Apply this directly on the affected area let it sit for few minutes. Repeat this application regularly 2 – 3 times a day. Take small amount of sesame and add this to a teaspoon of raw CO. Mix it well and apply this directly on the fungus infected nail. Swab it gently on clean dry feet by using cotton ball, twice a day. Regular application yields best results. These tips will help you to have healthy and beautiful nails. Only use extra virgin CO. Always keep the feet dry and wear clean socks. Warm moist environments are the most favorable for the fungi to grow. Avoid going barefoot in the public places where the fungal infection can be easily spread. Trim and cleanse your nails regularly. Even if you do not have fungus, applying CO with give you beautiful, strong nails! Which toenail fungus treatment with coconut oil are have you tried? 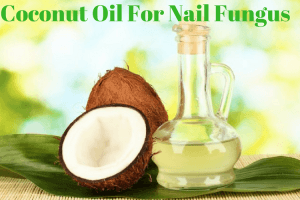 Don’t forget to share your experiences with these coconut oil for nail fungus treatments with us in the comments below! I just rub a little grocery store bought coconut oil on my toenails / toes before bed and the fungus is going away. I keep the nails trim also and rub it underneath nails where possible. Also oil of oregano capsules work great also. I mix that with one part olive oil since it’s so strong. After applying coconut oil to my toes it seems like they ache around the toenail. Could that be possible? Don’t worry. You may be experiencing the itching due when coconut oil is dealing with the fungus. Yes, it can help. The anti-fungal properties of coconut oil fight against the fungal activity. Nutrients present in it strengthen your nails and cuticles. Apart from using it, always keep your feet dry and avoid going barefoot in public places. No, take a fresh batch of coconut oil every time. Where can you buy pure coconut oil ?? You can find them in a local grocery stores or online stores like Amazon and Wal-Mart. Before buying coconut oil check the label for organic and cold compressed. What’s the difference btwn medium heat & cold pressed? I’ve seen & used both both I’m not sure, is one more affective than the other for treating certain conditions? During cold compressing, the oil from coconut is extracted at a very low temperature. It is considered raw and nutrients are not lost in the extraction process. If the oil is extracted at some temperature it is referred as medium heat. Heat destroys most of the nutrients to it is always better to choose cold compressed than medium heat. I apply coconut oil on my toe nails once to twice a day. For at least 3 weeks now.I understand it’s a long process…does toe nail need to grow out completely (while growing pushing infected parts out- to be cut) OR can It get better without the nail competely growing out? Also,my toe nails turned yellower since…Is that normal? Does it mean toe nail fungus is dying off?? Yes, the nail needs to grow out which gets out the dead fungus. Sometimes, the nail may fall off but don’t worry, a new one will come out soon. Though the fungus dies with the treatment and as the dead fungus stays beneath the nail it is important that the nail growth gets it out. The coconut oil application should reduce the yellow color. Try for another few days and see if the yellow color has reduced or not. If it didn’t reduce try other remedies as coconut oil may not be working for you. It is normal for the infected nail to come off after a treatment. Don’t worry it is for good only. The new and healthy nail will come out soon. Yes, you can. Both coconut oil and olive oil contains antifungal properties. Avoid applying nail polishes as they can create moist environments which encourage the fungal growth. You can apply medicated nail polishes if you want. I started doing this for the last 4 months to try to cure a very bad big toe fungus that was really embarrassing! My nail was so thick and hard that I had to go to a podiatrist to have it trimmed! Yuck! My Doctor told me there was nothing I could do. I was reading all the wonderful properties of coconut oil so I got a small syringe with a plastic tip (no needle please!!!!!) and filled it with coconut oil. After every shower i cleaned under the infected nail and pushed coconut oil under the nail then took a metal nail file and filed off the top layer of the thick heavy toenail, dried it well with a hair dryer then slathered the entire nail with a thick covering of oil and covered with a band aid and left it on till the next shower the next day. I cant believe the difference. The nail is 3/4 grown out, I can cut it myself and the brown/yellow thick nail is gone and all that is left is a small brown spot that is growing out as my healthy nail grows, and it doesn’t hurt anymore. IT WORKED for me. I am going to continue to do this for at least the next 3 months until the nail grows out, then probably will continue once or twice a week until Im sure it is gone. Its amazing the difference! Try it. I had tried the prescription medication that required blood work, I had soaked in apple cider vinegar, baking soda, bleach, you name it , I tried it. wonder what else it can fix??? The skin and some flesh at the tip of my fungal-infected toenail is also infected. At times it’s painful. I try to file off a layer of the skin before following with my treatment. I’ve been using Mentholatum and experienced slow improvement, but plan to switch to coconut oil. ASAP. What are the medicated nail polishes you mentioned and where do you get them? You can try just for toe nails polish or Dr’s. remedy enriched nail polish. You can buy them at any online stores like Amazon or pharmacy stores. My podiatrist recommended Danipro which you can get from their site or Amazon. Works well. You still need to change polish weekly and change socks. Yes, you can. Coconut oil contains antibacterial and antifungal properties which deal with fungi causing the infection. My dermatologist prescribed Jublia 10% for my fungal toenail. I applied Jublia on my toe daily, and it caused my toenail to life up so much that it was getting caught on everything. I clipped most of the loose nail off and the rest fell off recently. My large toenail has the fungus. I can see there is some yellowish colored stuff on top of my toe even though my nail fell off. Could this be dead fungus remaining on top of the nail? I started applying Extra Virgin Coconut Oil today to my toe. Hope this will work for me as well. I have severe toenail fungus on my big toenail and have been applying a mixture of tea tree oil and jojoba oil. I also soak my feet with tea tree oil and lavender oil every night after shower. I’ve been doing this for a month but there’s still pain on the lunula part and now its becoming thick and white, sometimes it goes better sometimes it goes worse. Can I change to coconut oil and tea tree oil at this stage? I hope this remedy could be of help.